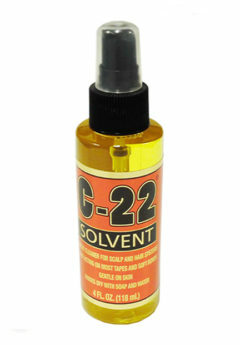 C-22 Solvent (4 oz) / Dozen - Super Hair Factory Inc.
C-22 is a quick-acting citrus based cleaner for scalp and hair systems. 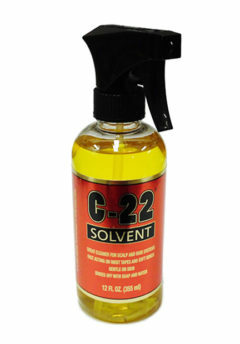 It has a fresh citrus fragrance and is easy to clean up with soap and water. 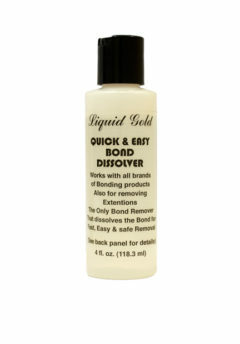 It’s often used as a remover for our Seamless Hair Extensions, EZ Skin Wefts and Tape Hair Extensions.